A phytochorion, in phytogeography, is a geographic area with a relatively uniform composition of plant species. Adjacent phytochoria do not usually have a sharp boundary, but rather a soft one, a transitional area in which many species from both regions overlap. The region of overlap is called a vegetation tension zone. Fynbos is a small belt of natural shrubland or heathland vegetation located in the Western Cape and Eastern Cape provinces of South Africa. This area is predominantly winter rainfall coastal and mountainous areas with a Mediterranean climate. The fynbos ecoregion is within the Mediterranean forests, woodlands, and scrub biome. In fields related to biogeography, fynbos is known for its exceptional degree of biodiversity and endemism, consisting about 80% species of the Cape floral kingdom where nearly 6,000 of them are endemic. This land has faced severe threats and still does, but due to the many economic uses conservation efforts are being made to help restore it. 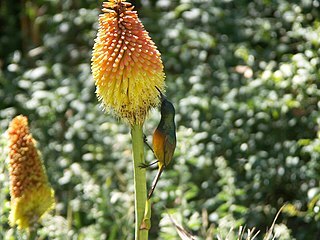 Home to the greatest non-tropical concentration of higher plant species in the world, the region is the only hotspot that encompasses an entire floral kingdom, and holds five of South Africa’s 12 endemic plant families and 160 endemic genera. Covering 78,555 km², Cape Floristic Region hotspot is located entirely within the borders of South Africa. It is one of the five temperate Mediterranean-type systems on the hotspots list, and is one of only two hotspots that encompass an entire floral kingdom (the other being New Caledonia)[ citation needed ]. The Region covers the Mediterranean climate region of South Africa in the Western Cape in the southwestern corner of the country, and extends eastward into the Eastern Cape, a transitional zone between the winter rainfall region to the west and the summer-rainfall region to the east in KwaZulu-Natal. New Caledonia is a special collectivity of France in the southwest Pacific Ocean, located to the south of Vanuatu, about 1,210 km (750 mi) east of Australia and 20,000 km (12,000 mi) from Metropolitan France. The archipelago, part of the Melanesia subregion, includes the main island of Grande Terre, the Loyalty Islands, the Chesterfield Islands, the Belep archipelago, the Isle of Pines, and a few remote islets. The Chesterfield Islands are in the Coral Sea. Locals refer to Grande Terre as Le Caillou. A Mediterranean climate or dry summer climate is characterized by rainy winters and dry summers, with less than 40 mm of precipitation for at least three summer months. While the climate receives its name from the Mediterranean Basin, these are generally located on the western coasts of continents, between roughly 30 and 43 degrees north and south of the equator, typically between oceanic climates towards the poles, and semi-arid and arid climates towards the equator. The Proteaceae are a family of flowering plants predominantly distributed in the Southern Hemisphere. The family comprises 83 genera with about 1,660 known species. Together with the Platanaceae and Nelumbonaceae, they make up the order Proteales. Well-known genera include Protea, Banksia, Embothrium, Grevillea, Hakea and Macadamia. Species such as the New South Wales waratah, king protea, and various species of Banksia, Grevillea, and Leucadendron are popular cut flowers, while the nuts of Macadamia integrifolia are widely grown commercially and consumed. Australia and South Africa have the greatest concentrations of diversity. The Ericaceae are a family of flowering plants, commonly known as the heath or heather family, found most commonly in acid and infertile growing conditions. The family is large, with c. 4250 known species spread across 124 genera, making it the 14th most species-rich family of flowering plants. The many well-known and economically important members of the Ericaceae include the cranberry, blueberry, huckleberry, rhododendron, and various common heaths and heathers. The Grubbiaceae are a family of flowering plants endemic to the Cape floristic region of South Africa. The family includes five species of leathery-leaved shrubs in two genera, Grubbia and Strobilocarpus. They are commonly known as sillyberry. Bruniaceae is a family of shrubs native to the cape region of South Africa. They are mostly restricted to the Cape Province, but a small number of species occur in KwaZulu-Natal. The Penaeaceae are a family of evergreen, leathery-leaved shrubs and small trees, native to South Africa. The family has 29 species in 9 genera. The family Penaeaceae was expanded under the APG III system of classification with the inclusion of the genera Olinia and the single species from the genus Rhynchocalyx. An ecoregion is an ecologically and geographically defined area that is smaller than a bioregion, which in turn is smaller than an ecozone. All three of these are either less or greater than an ecosystem. Ecoregions cover relatively large areas of land or water, and contain characteristic, geographically distinct assemblages of natural communities and species. The biodiversity of flora, fauna and ecosystems that characterise an ecoregion tends to be distinct from that of other ecoregions. In theory, biodiversity or conservation ecoregions are relatively large areas of land or water where the probability of encountering different species and communities at any given point remains relatively constant, within an acceptable range of variation. The Albany thickets is an ecoregion of dense woodland in southern South Africa, which is concentrated around the Albany region of the Eastern Cape. The California Floristic Province (CFP) is a floristic province with a Mediterranean-type climate located on the Pacific Coast of North America with a distinctive flora similar to other regions with a winter rainfall and summer drought climate like the Mediterranean Basin. This biodiversity hotspot is known for being the home of the Sierran giant sequoia tree and its close relative the coast redwood. In 1996, the Province was designated as a biodiversity hotspot allowing it to join ranks among 33 other areas in the world with a large number of endemic species. To be named a biodiversity hotspot, an area has to contain species and plant life that cannot be found anywhere else in the world. The California Floristic Province is home to over 3,000 species of vascular plants, 60% of which are endemic to the province. The geometric tortoise is a critically endangered species of tortoise and one of three members of the genus, Psammobates. It is found in a very small section in the South-Western Cape of South Africa. The Paleotropical Kingdom (Paleotropis) is a floristic kingdom comprising tropical areas of Africa, Asia and Oceania, as proposed by Ronald Good and Armen Takhtajan. Part of its flora, inherited from the ancient supercontinent of Gondwana or exchanged later, is shared with the Neotropical Kingdom, comprising tropical areas of Central and South America. Moreover, the Paleotropical flora influenced the tropical flora of the Australian Kingdom. The Paleotropical Kingdom is subdivided into five floristic subkingdoms according to Takhtajan and about 13 floristic regions. In this article the floristic subkingdoms and regions are given as delineated by Takhtajan. Renosterveld is a term used for one of the major plant communities and vegetation types of the Cape Floristic Region which is located in southwestern and southeastern South Africa, in southernmost Africa. It is an ecoregion of the Mediterranean forests, woodlands, and scrub biome. The Kamiesberg or Kamiesberge, is a mountain range of jumbled granite inselbergs or bornhardts dotted over sandy plains and centered on Kamieskroon in Namaqualand in South Africa. This range is very like the Matopos of Zimbabwe in appearance. It stretches for about 140 km (60 mi) from Garies in the south to Springbok in the north and forms a plateau between the Sandveld of the Cape West Coast and Bushmanland in the east, with the Hardveld of the mountainous central Kamiesberg escarpment in the midst. Lourensford Alluvium Fynbos is a critically endangered vegetation type that is endemic to Cape Town. Though closest to Fynbos, it has characteristics of both Fynbos and Renosterveld vegetation and is thus actually a unique hybrid vegetation type. Cape Winelands Shale Fynbos is a vegetation type that naturally occurs in the Cape Winelands of the Western Cape, South Africa. Blaauwberg Nature Reserve was proclaimed a local and provincial nature reserve in 2007. The reserve has views down fynbos slopes, across the city, to seven kilometres of rocky and sandy coastline and the ocean and beyond. The reserve presents itself as one of the few viewpoints in the world from where you can see two proclaimed world heritage sites, namely Table Mountain and Robben Island. Kogelberg Nature Reserve is a nature reserve of 3,000 ha comprising the Kogelberg Mountain Range, to the east of Cape Town, South Africa. The Cape Provinces of South Africa is a biogeographical area used in the World Geographical Scheme for Recording Plant Distributions (WGSRPD). It is part of the WGSRPD region 37 Southern Africa. The area has the code "CPP". It includes the South African provinces of the Eastern Cape, the Northern Cape and the Western Cape, together making up most of the former Cape Province. The Gouritz Cluster Biosphere Reserve is located in the southern part of South Africa. It is divided into four connected sectors ranging from sea level to 2,240 metres. The area is the only place in the world where three recognized biodiversity hotspots converge. The site is characterized by high endemism of plant species and threatened invertebrates including seven endemic species of the enigmatic beetle genus Colophon and 14 butterfly species. It provides a migratory route for large mammals such as the leopard and serves as a nursery for marine species. The Cape Winelands Biosphere Reserve is located in the Western Cape Province of South Africa approximately 40 km east of Cape Town. The Biosphere Reserve extends from the Kogelberg Biosphere Reserve in the south, northwards along the Cape Fold Belt Mountain Chain and the adjoining valleys constituting the Cape Winelands. The Biosphere Reserve incorporates key portions of the registered Cape Floral Region Protected Areas World Heritage Site. The Reserve was designated in 2007. 1 2 3 4 5 Odendaal L. J., Haupt T. M. & Griffiths C. L. (2008). "The alien invasive land snail Theba pisana in the West Coast National Park: Is there cause for concern?". Koedoe – African Protected Area Conservation and Science 50(1): 93-98. abstract, doi : 10.4102/koedoe.v50i1.153. ↑ Тахтаджян А. Л. Флористические области Земли / Академия наук СССР. Ботанический институт им. В. Л. Комарова. — Л.: Наука, Ленинградское отделение, 1978. — 247 с. — 4000 экз. DjVu, Google Books. ↑ Takhtajan, A. (1986). Floristic Regions of the World. (translated by T.J. Crovello & A. Cronquist). University of California Press, Berkeley, PDF, DjVu. 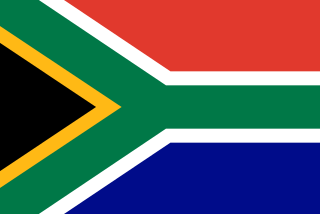 ↑ South African Press Association (14 August 2014). "Cape is world's extinction capital" . Retrieved 20 August 2014. 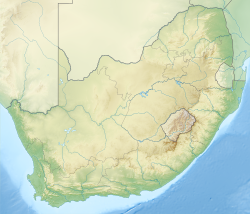 Wikimedia Commons has media related to Cape Floristic Region (Cape Floral) .